Any good employer knows the importance of having a competitive benefits package with health insurance. However, as health insurance costs continue to rise, many businesses are rethinking their options. The two primary types of health insurance plans include fully insured plans and self insured plans. Understanding how both types of health plans work can help you make an informed decision and could even save your company money. Here is a look at how fully insured health insurance plans compare to self insured plans. Fully insured and self insured plans are two distinct approaches to employer-sponsored group medical plans. Under a fully insured plan, an employer often feels less of the effects of rising medical costs. An employer also has the option to negotiate with health insurance providers to get the best rates possible for their employees. Fully insured plans are also convenient as claims are managed by the medical care provider and insurance provider which allow employers to focus solely on their business. This also lessens the financial strain on employees. With fully insured health insurance plans, profits made by the insurance company are retained by the organization. One of the biggest differences between fully insured plans and self insured plans is who assumes all the risk. With a fully insured plan, the risk falls on the insurance company. It is more common for larger businesses to be fully insured than businesses with thousands of employees due to cost. With fully insured plans, the company pays the insurance carrier a set premium price each year based on the number of employees who are enrolled in the plan each month. If any claims exceed the projections created at the start of the year, the insurance company assumes all legal and financial risk. As the price is fixed until the employer makes a new deal, there are no financial surprises. While the risk falls on the insurance company in a fully insured plan, in a self insured plan the employer or company assumes most of the risk. Businesses that have self insured plans must pay for employee medical claims and associated fees from their own general assets. In short, the business behaves as its own insurer. While there are many benefits to using self insured plans, there are also downfalls. Unexpected claims can result in climbing costs. However, if the business only has a limited amount of claims, this aspect can be advantageous. By eliminating some of the costs associated with fully insured plans, employers are able to offer employees lower premiums. Companies that have hundreds of employees are often hesitant to choose a self insured plan as this involves a lot of risk. 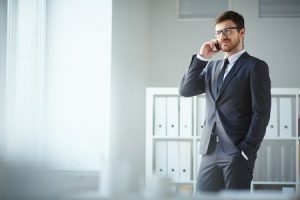 However, smaller companies can usually afford to have a self insured plan due to the ability to purchase stop-loss insurance which places a limit to the number of claim expenses a company is liable for each year, per employee. This provides some level of protection for companies in the event that several employees require costly medical expenses in the same period. With stop-loss insurance, an employer’s health plan is reimbursed for any claims that fall above the set limit. No one plan is right for everyone. Both fully insured plans and self insured plans have their own set of pros and cons which make them right for some companies and a poor choice for others. 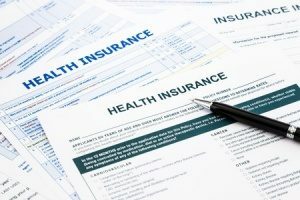 However, self insured health insurance plans make sense for approximately 70 percent of companies that have a total of 25 or more employees as well as adequate cash flow. However, self insured plans also work well for some smaller businesses as well. With an appropriate level of stop-loss, smaller businesses can safely take advantage of self insured plans. However, for companies who do not want the hassle of taking care of insurance issues themselves, fully insured plans may be a better option. Finding the right insurance plan for your business is not always easy. That is where an experienced health insurance broker comes into play. Insurance brokers can help employers compare the range of health plans available to them. 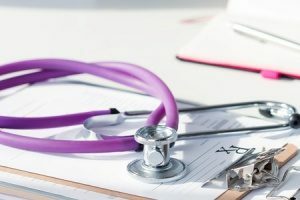 As the process of sorting through health insurance plans can be daunting, having an insurance broker there to explain terms and provide advice can make the process run much more smoothly. However, not all health insurance brokers offer the same level of service. Choose an insurance broker that has a good reputation in the industry. Check licenses, references, and ask other professionals in the industry about their experience with a broker. Remember that services can vary from one broker to the next and some insurance professionals will not offer the services or attention to detail that you are looking for. You will also want to find out if you have a dedicated account manager. It is ideal to have someone that you can contact with questions or concerns instead of a stranger on the other end of the phone. For more information about fully insured plans or self insured plans, contact your local health insurance broker.